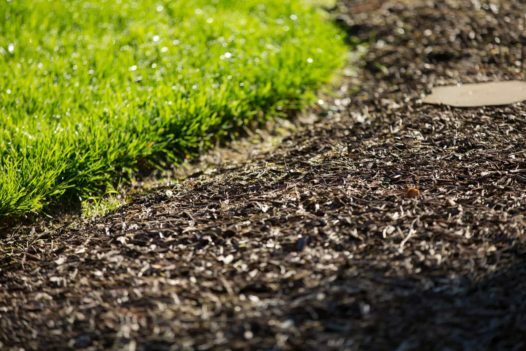 Mulch is a wildly popular addition to any landscape, and with good reason. It not only helps improve a home’s curb appeal by freshening up the color of its landscape, but it can also be highly beneficial to plants and soil. There are many varieties to choose from, so which one is best for your lawn? Our Canopy Lawn Care Pros are here to share some mulch knowledge with you! 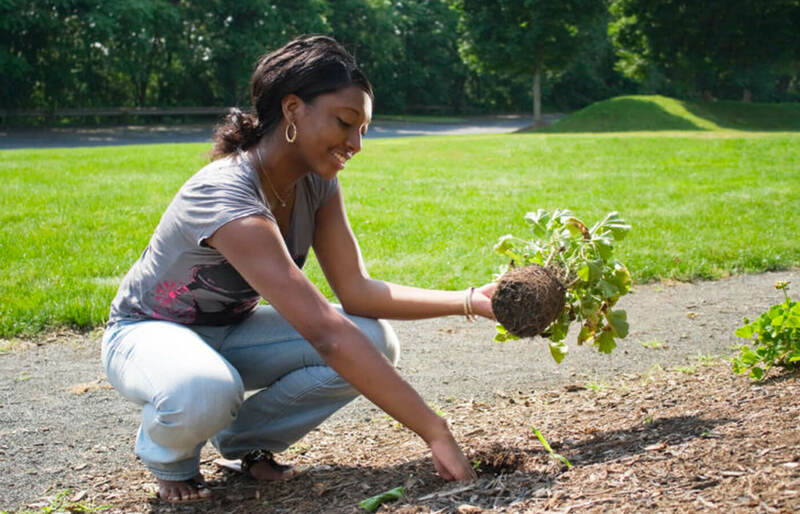 The kind of mulch that you choose should ultimately depend on what you plan to use it for. Mulching is the process of breaking up organic matter into spreadable form. This can be done by composting, shredding or chipping depending on the type of product that is to be created. Grass mulch is the product of the grass clippings that are left behind following lawn mowing. Many lawn mowers have mulching attachments that will shred the grass as you mow. Mulching grass clippings and leaving them on your lawn adds highly beneficial nutrients back into the soil. Grass clippings can be used in the form of compost to add nutrients to plants, but we do not recommend the use grass clippings that have been treated with fertilizers or weed controls for composting around food. Straw is beneficial for vegetable and herb gardens, or even around fruit or tomato vines. Typically, Canopy Lawn Care does not recommend putting straw on your lawn itself, do to the potential of spreading weeds. Pine bark or cedar chips are broken up pieces of pine and cedar bark. They are commonly found sold as “nuggets.” This variety can add appeal to bed areas, but we recommend using it in beds that are contained as it does not stay in place very well and can blow around or wash out in heavy rain. Shredded hardwood is one of the most popular mulch varieties of mulch ordered by Canopy customers. We love using triple-shredded hardwood because of the benefits that it adds to the soil. It also spreads nicely, adds insulation to your plants to protect from heat and cold, and it stays in place, so it can even be used on sloped areas. You can also find it in “double-shredded” variety. This just means the pieces will be slightly larger. Customers often request designer brown mulch because of its vibrant color. It is true; this variety does add a lovely contrast to landscape beds. Unlike shredded hardwood varieties, however, designer varieties are usually made from wood pallet material that is dyed to get that rich color that makes it so popular. It can also be found in red and black tones and is most likely what you would see when shopping a mulch sale at your local home improvement store. Designer mulch will eventually break down, and it does help insulate plants, but it will not add nutrients to your soil like a hardwood variety wood. 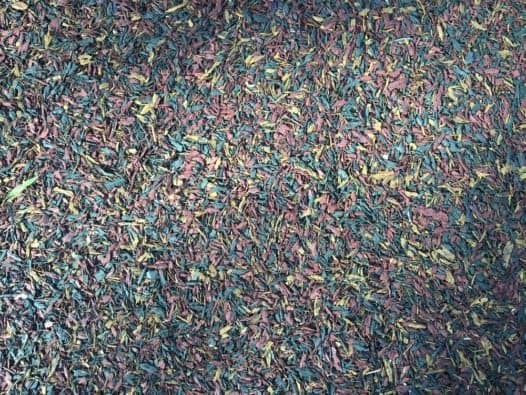 Playground mulch is a recycled rubber material, commonly made from tires. Homeowners like to have playground mulch spread in areas around children’s play areas. This material obviously does not break down or add nutrients like an organic product would, but it is popular due to the fact that it does not splinter like a wood. Do you need help with mulch installation? Our Canopy Lawn Care Pros are skilled at mulch installation. Contact us today for a fast, free quote!